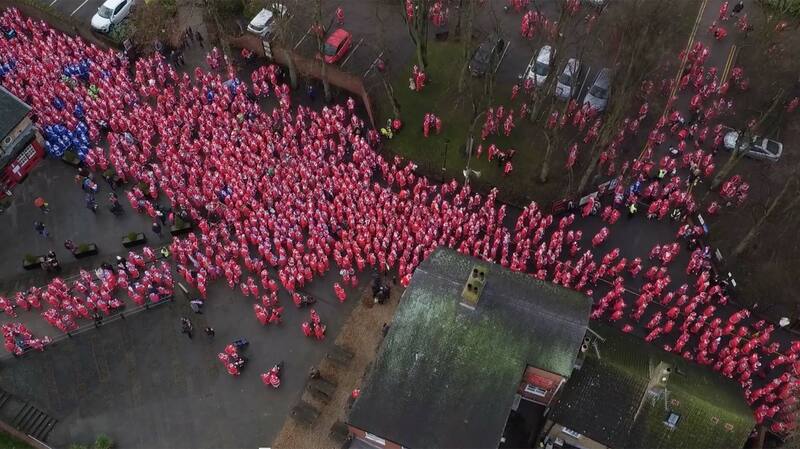 Impressive bird’s-eye footage from the Santa Fun Run 2016 has been released, giving a unique view of the city’s popular Christmas charity event. Footage from the fun run on Sunday, December 11 has been published by Kurnia Aerial Photography. 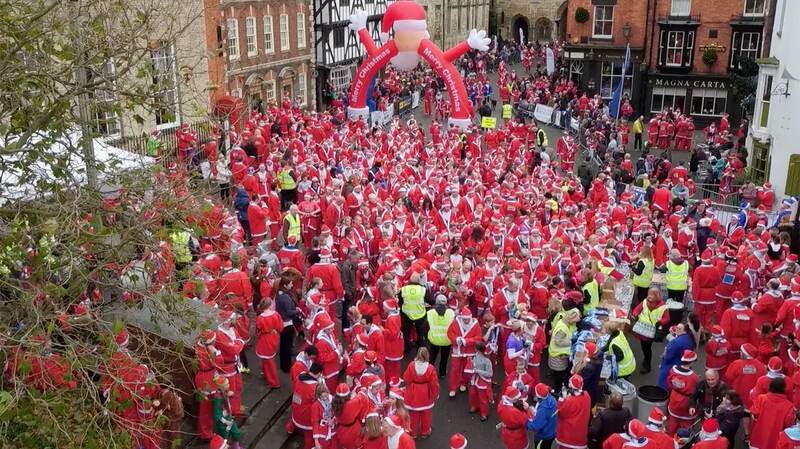 The event saw more than 2,500 Santas run and walk through the streets of uphill Lincoln. Joined by over 200 festively dressed pooches, the Santas formed a sea of red and white to complete the course in the Cathedral Quarter. 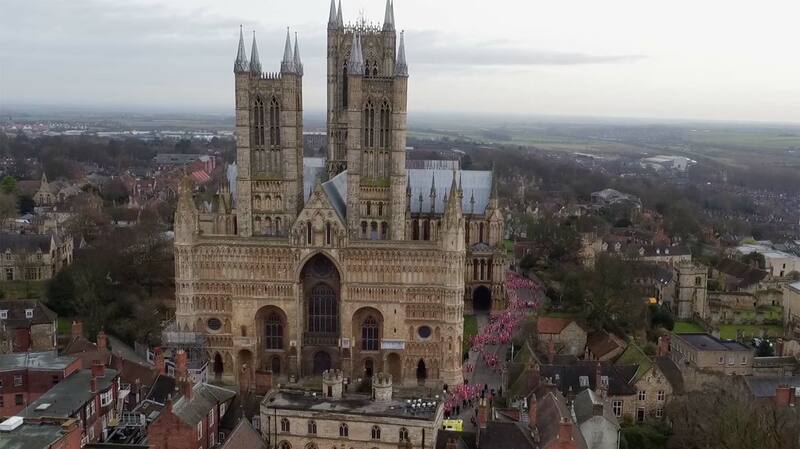 Michael Kheng, MD at Kurnia, has filmed the last four Santa Fun Runs in Lincoln. “We have always done these for free as it’s such a great event and raises a lot for charity so filming and producing the videos is our small contribution.